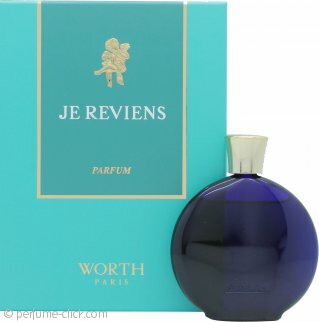 Je Reviens by Worth is a floral and woody fragrance for women. Je Reviens is a true vintage scent that has stood the test of time. Decades ago this was the scent worn by every fine lady in the big city, and today it is as popular as it was back in the 1930’s. Je Reviens opens with fresh notes of aldehydes, orange blossom, jasmine, ylang-ylang, bergamot and lemon. The heart is a beautiful blend of narcissus, lilac, orris root, hiacynth, cloves, ylang-ylang and rose which melts into the base of sandalwood, Tonka bean, amber, musk, violet, oakmoss, vetiver and incense. Je Reviens by Worth was launched 1932.